welcome to my W.A.R.Girl 2013 page. 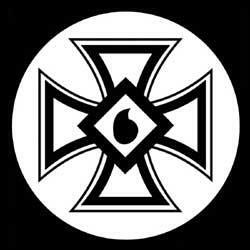 This page is here to bring news and pictures that will be of interest to National Socialists and like-minded Whites. It will also show the beauty of White women. Please support my friends at W.A.R. (White Aryan Resistance). And read articles by Tom Metzger. 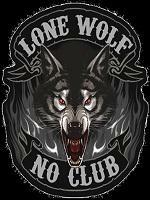 Another design by Tom Metzger is Design for The Lone Wolf. Here is another pic that shows White women are the most beautiful women on the planet. After the brutal attack on my hubby in July, (my hubby was attacked because he is White), the black thug that attacked him was never brought to justice! This is typical in Chicago. No one wants to stand up yo the thug gangs, they are afraid they will be accused of racial profiling! But, the reality is, 80 percent of all violent crime is committed by male black thugs! That's not racial profiling, that's a fact! Its their fault they act like savages! Black thug gangs think they "run" the cities. No, they destroy the cities and ruin life for all the good citizens! Its time for people to stand up and say enough is enough! The answer to black thug violence in our cities. We need to stand against them. Black thug gangs pray on the weak. If we stand against them, then they show what they really are, worthless and weak! Before you engage in any activity, recommend that you do a google search for Tom Metzger's Lone Wolf Society, and read and understand the articles that you read. Below is a card that is of importance to any White Nationalist.